Finishing Touch hydration and protection spray refreshes and protects your flowers for long lasting beauty. 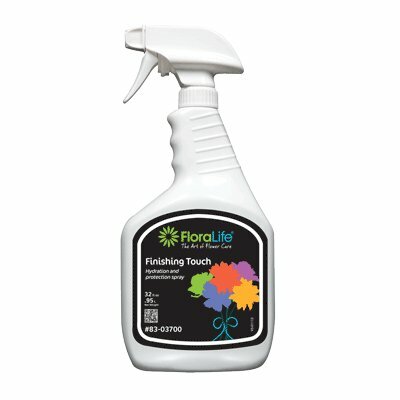 Absorbed into the leaves and buds of the flower, Finishing Touch controls the amount of moisture lost from the flower to keep it lasting longer. It also has nutrients that will feed your flowers, keeping it healthy. Safe to use with all flower types and greens.,Prevents premature petal drop, dehydration, wilting and browning.